Maritime students create and share a rich and lively culture. As important as academics are, building relationships and knowing where to go for help are vital to succeeding in college. The college is home to two distinct student experiences, which come together to create a campus community like no other. 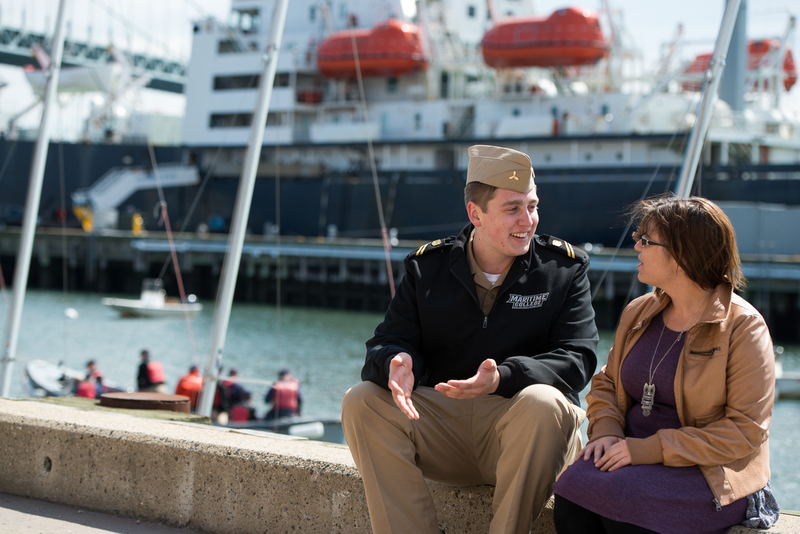 At Maritime, you may choose to be part of the Regiment of Cadets, a disciplined lifestyle program unaffiliated with the military, or part of the civilian program, a traditional student experience. Whichever experience you choose, you will have more than 60 clubs to join, sports to play, spaces to study or hang out, and beautiful spots on campus to explore.